Excellent LEASE opportunity in Brighton Park Subdivision for a 3,160 sq. ft. FOUR bedroom house. 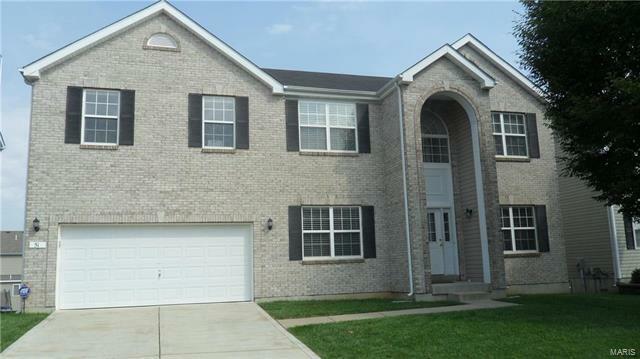 This home has a beautiful brick front with enclosed arched entry way. The main door opens into a foyer with wood floor. The main level has 9 ft ceilings in formal living, formal dining rooms in addition to family room with a gas fireplace. The kitchen has wood floors, 42" cherry cabinets, walk in pantry and breakfast area. There is a Cedar deck with stairs leading to the patio and a level yard. The upstairs has a huge master suite with dual sinks and separate tub and stand-in shower. Three additional bedrooms have their own walk in closets. Also there is a bonus room and a common bathroom. All bedrooms have ceiling fans. Basement is unfinished with 8 ft. pour and walk out. The yard has an in-ground sprinkler system. The home has ZONED A/C, furance system for energy savings!! Tenant occupied property. Advance notice may be required for a showing.